At Pactox, we constantly update our compliance program to bring you the safest and most reliable methods currently used by top government industries. 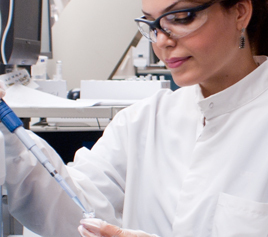 Pacific Toxicology Laboratory's compliance program is in accordance with the Department of Health and Human Services, Office of Inspector General, Compliance Program Guidance for Clinical Laboratories, Federal Register, Vol. 63, No. 163, page 45078. Pacific Toxicology's management and employees are dedicated to the attainment and maintenance of the highest level of reliability. Our collective and individual mission is to deliver accurate, easily reproducible and timely test results. The development of the Pacific Toxicology Compliance Program adheres to applicable federal and state law as well as the specific program requirements of federal, state, and private plans. 1. A written code of conduct and ethical standards for our employees and business practices that will reduce potential fraud and abuse in such activities as marketing schemes, coding issues, and improper claims. 2. Designation of a Compliance Officer and Compliance Committee. 3. Implementation of training programs for all employees. 4. Effective and open lines of communication, such as a hotline and access to the Compliance Officer for processing complaints. 5. Effective response and prompt disciplinary action for failure to comply with compliance policies. 6. Timely use of audits and/or other evaluation techniques to monitor and assess compliance. 7. Prompt and documented investigations and corrective actions of identified problems and improper/illegal activities. As part of the marketing compliance program, members of our sales team are trained to describe the services offered by Pacific Toxicology, the services that will be provided when a test is ordered, and the financial consequences for payers for the tests ordered. PacTox will provide all clients with a written acknowledgement form stating the charges that will be billed. The acknowledgement form supplied by Pacific Toxicology will be clear, non-deceptive, and fully informative. We understand concerns about ever-increasing medical costs. While we employ a professional clinical support staff and use the latest in laboratory testing technology, our billing practices and billing rates remain patient and business friendly and at fair market value.